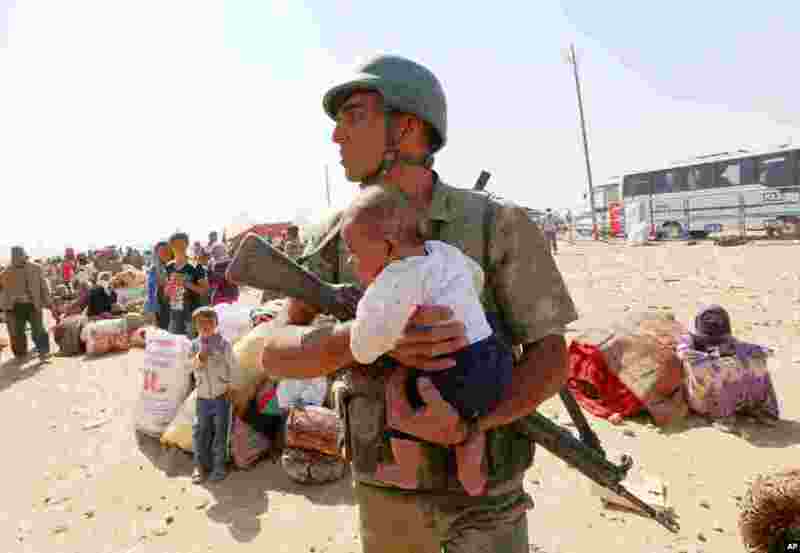 1 A Turkish soldier holds a lost baby as he looks for the mother, as thousands of new Syrian refugees from Kobani arrive at the Turkey-Syria border crossing of Yumurtalik near Suruc, Turkey. 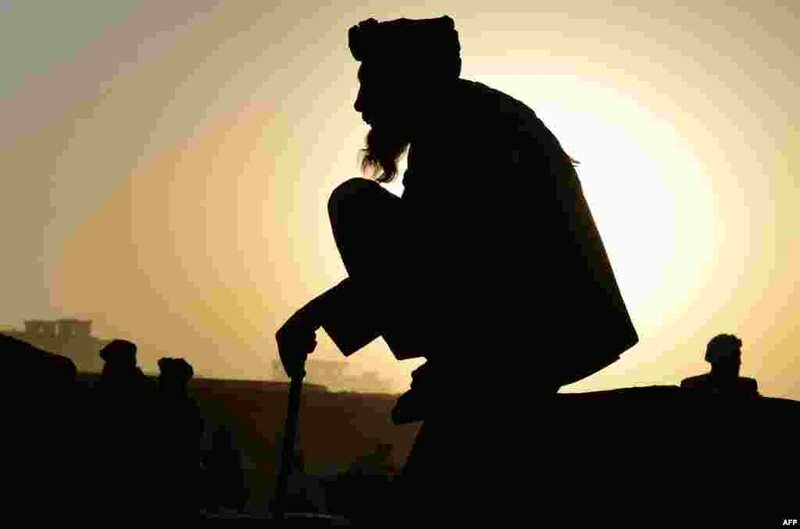 2 An Afghan trader waits for customers early in the morning at a livestock market ahead of the sacrificial Eid al-Adha festival in Kabu. 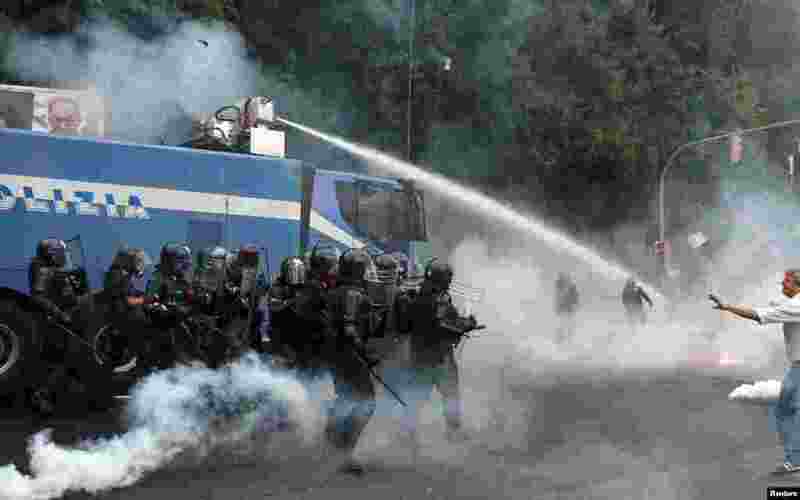 3 Riot police use water cannon against anti-austerity protesters during a demonstration in Naples, Italy. Hundreds of protesters faced off riot police outside the Capodimonte palace where the European Central Bank is holding one of its regular rate-setting meetings. 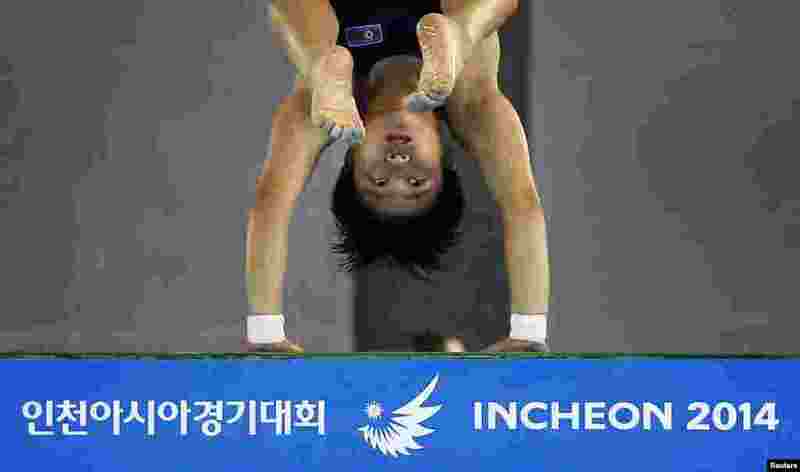 4 North Korea's Song Namhyang competes in the Women's 10m platform diving final at the Munhak Park Tae-hwan Aquatics Center during the 17th Asian Games in Incheon, South Korea.